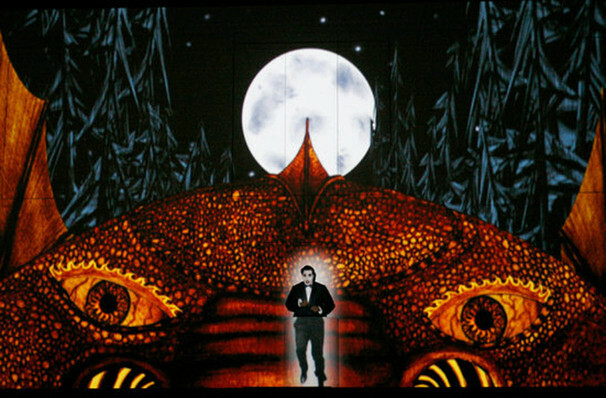 Why See Los Angeles Opera - The Magic Flute? One of Mozart's most enchanting operas, this supernatural tale, accompanied by his fine score has enjoyed much success since its premiere in Vienna in 1791. A popular draw since the 2013/14 season, this production, directed by Barrie Kosky in collaboration with British theatre company '1927', is back for 2019 to inspire and delight audiences of all ages with its heady mix of hand-drawn animation and live performance. What is the story of The Magic Flute? Pursued by a serpent in a strange land between the sun and the moon, Prince Tamino soon finds himself at the center of a wild adventure when he is saved by the mysterious handmaidens of the commanding Queen of the Night. Sent on a mission to save the Queen's captured daughter Pamina with a magic flute and bumbling servant Papageno, Prince Tamino's trials have just begun as he loses his heart to the Princess and comes to realize that the nature of good and evil in this odd place may not be as clear as they first appear. Seen Los Angeles Opera - The Magic Flute? Loved it? Hated it? Sound good to you? 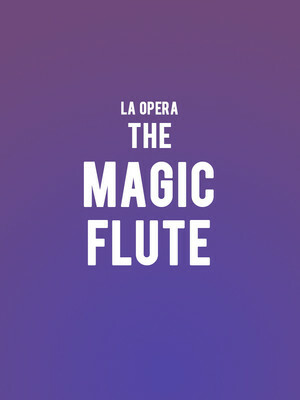 Share this page on social media and let your friends know about Los Angeles Opera - The Magic Flute at Dorothy Chandler Pavilion. Please note: The term Dorothy Chandler Pavilion and/or Los Angeles Opera - The Magic Flute as well as all associated graphics, logos, and/or other trademarks, tradenames or copyrights are the property of the Dorothy Chandler Pavilion and/or Los Angeles Opera - The Magic Flute and are used herein for factual descriptive purposes only. We are in no way associated with or authorized by the Dorothy Chandler Pavilion and/or Los Angeles Opera - The Magic Flute and neither that entity nor any of its affiliates have licensed or endorsed us to sell tickets, goods and or services in conjunction with their events.